Are you looking for blogs about the perfect travel destination? If you are wondering where you will find the perfect conditions for romance, adventure, entertainment, excitement, mystery and wonder – then look no further. There are several countries close to the United Arab Emirates which offer everything your heart seeks. Glamour, beauty, and excitement galore. These are the best choices for a romantic couple, an adventuring soul, and a history and culture vulture. Let's take a look at the countries that hold the most interest for travellers near the UAE in this travel blog. Egypt is one of the best countries to visit near Dubai and a repository of ancient history, exciting architecture and fantastic museums. Be sure to visit the pyramids, and get an eyeful of the Sphinx. Don't miss exploring Tutankhamun's mummy, one of the main archaeological spots in Egypt. Cairo is full of burial villages, prehistoric buildings, museums and more. Plus, the fun side of Cairo is great, with the Nile cruises, partying, shopping and more. Everybody knows about the iconic sights that Egypt has to offer. The magnificent Pyramids of Giza are well worth a trip at some point in your life, and seeing them is definitely a serene experience. These structures might be overwhelmingly large, but they are set in such a beautiful location that you will find visiting them to be quite a peaceful experience. Standing proudly in the sparse nothingness of the desert, they are quite extraordinary and baffling marvels. Learning of their history will fascinate you. Being unable to definitively credit their creators is intriguing. It adds to the mystery of the place. The main attraction of Esna, a city where the sacred Lates fish was worshiped, is the temple of Khnum, built in the Greco-Roman era. The temple is dedicated mainly to two deities: Neith, goddess of war and hunting, and her husband, the god Khnum. Taba, located in the Gulf of Aqaba of the Red Sea in the union between Egypt and Israel, is one step away from a really incredible variety of tourist places in Egypt. Excursions to nearby Zaman Castle provide a unique view of four countries at the same time and the Colorful Canyon is an ideal obstacle course for exploration. Alexandria is the biggest city in Egypt, and it breathes an atmosphere that is more of the Mediterranean than of the Middle East. It is famous for its Roman ruins. Alexander the Great founded Alexandria and was the capital of Greco-Roman Egypt. Visit the catacombs of Komash-Shuqqafa and the Caracalla Hall. And back to the surface, reach the Pilar de Pompeyo, a granite column 25 meters high built in honor of the Emperor Diocletian. Roman amphitheater, which is probably the best preserved Roman monument in all of Egypt. Visit the famous Library of Alexandria, which contrasts with the ancient architecture common to all of Egypt. This building of Norwegian creation is a spectacular example of modern design. You can travel to Egypt at the cheapest prices. Egypt is famous for its ancient civilization and world’s most famous monuments which include Giza Pyramid, Great Sphinx, and Luxor Temples. The tourist attractions in Egypt also includes camel trips in the eastern deserts. You can go for diving in the Red Sea off the coast of Egypt. The Red Sea is a home to many sea creatures and if you are lucky you can see a few of them. You can also visit Karnak Temple and Hypostyle Hall, which has 134 columns in 16 rows. 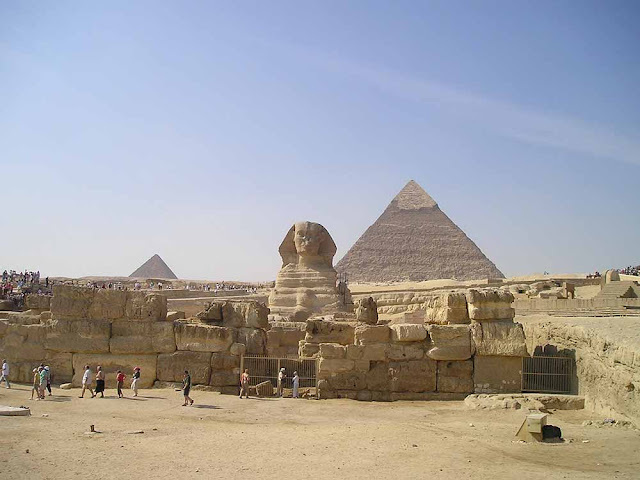 The Pyramids of Giza comes under top tourist places to visit in Egypt. The Nile River has been Egypt's lifeline since ancient times. You can sail across the Nile river and experience the beauty of nature. Cross the Nile River aboard a traditional felucca to discover the most authentic village in Egypt, Gharb Soheil in Aswan, and share daily life with the Nubians inside a house, enjoy motorboat trip on the Nile, ride on a dromedary, river bath on the Nile river and tour inside of the Nubian village in Aswan. Nubia was the region of Africa located between the south of Egypt and the north of Sudan. Sandwiched between the ruins of Abu, there are two colorful Nubian villages, Siou and Koti. A path from north to south through the center of Elephantine Island links the two villages and approximately halfway there is the Nubian Café, with a shady garden next to a traditional Nubian house. Near the wall that separates the Siou village is where the owner serves tea, sells Nubian handicrafts, and organizes live music and dancing or henna tattoos with local women. Tunisia has the colors, the smells, the tastes of many civilizations that have left their mark. Each stone has its sculptor, all of them legendary from those that raise the amphitheater of Djem, the ruins of ancient Carthage, the holy city of Kerouan, the fortresses of Monastir or the mud houses of Tozeur hit by the seas of dust of the desert. The Tunisian desert has been the scene of films like the Star Wars saga. Tour operators in Douz and Tozeur offer excursions through the desert visiting the places where famous films were filmed. Move through the Douz desert, either by camel or vehicles. You can also go to the dunes of the Sahara with 4×4. The salt sea of Chott El Jerid, formed by a series of lakes that extend through the south of Tunisia as if it were a mirage. Enjoy the experience of a hammam (Turkish bath). There are baths in all Tunisia, where you can take steam with the locals, many of the natural springs of thermal waters have been used for this purpose since Roman and Punic times. Stroll through the bustling Medina of Tunisia, to perfect your bargaining skills. Try the Souk the Attarine that still sells perfumes and oils, or the Grand Souq des Chechias, the traditional place of shopping. Play a game of golf near Port El Kantaoui Sousse, Monastir, Tabarka, Carthage, Tozeur, Djerba and Hammamet. See the coral bottoms through diving dives observing the marine life of the waters of Tunisia, in the diving centers of Tabarka Yachting Club, the International Diving Center in Port El Kantaoui or the SAAM Diving in Monastir. Take a ferry to the Djerba island, with its soft beaches bathed by the waters of the Mediterranean, and throw yourself in the shade of the palm trees. Explore the ksour in southern Tunisia. These barns molded with mud were used as location in the recording of Star Wars. Visit one of the largest collections of Roman mosaics in the Bardo Museum. Located in a seventeenth century palace, the museum exposes the archaeological wealth of the Carthaginian, Roman, Christian and Islamic eras. Explore the remains of a great ancient civilization founded by the Phoenicians. Carthage was razed by the Romans who rebuilt it in the third largest city of the Roman Empire, before it was destroyed again by the Arabs. Visit the medina of the holy city of Kairouan, where there are more than 50 mosques and know how their famous carpets are made. See the magnificent Roman site of Dougga. A good conservation of the ruins gives a tempting idea of ​​how the Romans lived. Stroll around El Djem Amphitheater, Dougga / Thugga, Kairouan, Medina of Susa, Medina of Tunis, Punic City of Kerkuane and its Necropolis, Carthage and the Ichkeul National Park. Go to Matmata. Here the Berbers found an ingenious way to overcome the heat of summer by digging the houses in the earth. Many of the troglodytic houses - underground cave that surround the courtyards - are still inhabited, and some of them are now hotels. See another underground world in Bulla Regia. Here the Romans also used architecture as a way to keep cool when the sun warms. Spend a day in Sousse, built by the Arabs which includes the Grand Mosque and its Ribat. There are several theaters and numerous movie theaters in Tunisia, with plays and films in Arabic and French. In Tunisia and the main tourist centers, many restaurants and bars of the hotels there are live music and dancers in the nights from May to September, there are numerous nightclubs. Summer is the season of art festivals, and when international artists arrive in Cartago, Hammamet and Nabeul. At the end of summer there are several music festivals in Tabarka on the north coast, with live music in the afternoons. Yasmine, Hammamet, Port El Kantaoui Djerba have great casinos. In the heart of West Africa, Mali is a territory with many natural and especially cultural attractions, surrounded by Mauritania, Algeria, Niger, Burkina Faso, Cote d'Ivoire, Guinea and Senegal. Each region has a mosaic of ethnic groups whose only evocation inspires myths such as the Peuls, the Dogon, the blue men or the Tuaregs. Mali follows a glorious past through its cities and historical sites such as Djenné, Gao or Timbuktu. From the Sahara in the north to the forests of the south, one of the main places to visit in Mali is the Niger River, the main river in Mali. The most important cities along the Niger River are Bamako, but also Mopti. The most important cities along the Niger River are Bamako, but also Mopti. Timbuktu is a beautiful city that was in the hands of Boko Haram for more than a year. The Boucle du Baoulé National Park is a huge protected area that stretches between Siby and Kita, just in the confines of the border with Mauritania. Dakar, the capital of the country, is the westernmost point of the Cape Verde peninsula and the entire African coast. The charming Goree island is a real haven of peace located in front of Dakar, from where you can admire the Atlantic Ocean, which extends to infinity, and the city of Dakar, which is seen in the distance. From the bar you can enjoy the sunset with a cold Gazelle beer in your hand. The Bassari Country route is one of the most beautiful trips in Senegal. It is a bit far from Dakar. Kedougou is the main entrance to the Bassari Country and is the typical city that is best to pass by. Iwol, is possibly the most beautiful village of the Bassari Country with many small huts, surrounded by baobabs and hidden in the mountain is the typical place that has something. You can see a party that takes place every 5 years called the party of the girls, a party in which young women of age to have a husband are available for 3 days to find handsome gentlemen. In that period they dress in their best clothes, sing beautiful songs and dance under incredible ceibas. The Segou waterfall is the least visited. The route to the Dindefello waterfall starts from the village of the same name. Acclaimed as the spoiled child of West Africa, travel to Ghana and discover the country of colors. Discover the Volta region and here is the large hydroelectric dam of Akosombo, which contains the largest reservoir of water ever made by man, its majestic lake Volta. From there go to the city of Ho, at the foot of Mount Adaklu. Go to the city of Hohoe to approach the border with Togo, where you can discover the Wli Falls, the highest in West Africa. Go by boat to the fishing village of Kpandu, on the shores of Lake Volta. Then go to the Ashanti Country, known for the gold trade. In the north, visit the Mole National Park and meet its famous inhabitants like elephants, baboons, monkeys, buffalos, leopards, lions and antelopes. Returning to the south, sail through the villages bordering the sacred lake Bosumtwi, emerged in the crater formed after the impact of a meteorite. Crossing lush jungle landscapes and banana plantations, arrive at the sadly famous coast of the slaves, crowned by two of the largest and best preserved European castles in West Africa of Cape Coast and Elmina. The calm atmosphere of the beaches and coconut trees of Kokrobite will be the final point before returning to the bustling Accra. Akwaaba! It is the warm welcome of the Ghanaians. With the aim of helping a little who wants to travel to these two countries of West Africa, here are a few tips for traveling to Benin. Benin shares borders with the giant Nigeria, the tiny Togo, Burkina Faso and Niger. A trip to Benin is perfect to get into sub-Saharan Africa, a virgin country that has not yet been invaded by tourism. The capital is Porto Novo, but Cotonou is the largest city in the country. On the opposite side, the northern part of the country is made up of savannas and semi-arid mountainous areas such as the Atakora chain, one of the great tourist attractions of Benin. On a trip to Benin it is possible to cover the Nazenga Reserve, where the largest number of elephants in West Africa are concentrated. Ouidah is the voodoo capital See Gran Popo and its golden beaches, the floating cities of the south, Lobi, one of the African ethnic groups that best preserves its traditions, the small animist villages and their famous masked dances gèlèdè. Leave the bustling Cotonou, to start the boat route to the popular lacustrine city of Ganvié. Crossing Lake Nokué, continue to historic Porto-Novo. In Abomey visit the palaces of the ancient Dahomey kingdom, before continuing to the Taneka villages and meet the fetish chief and his eternal pipe. Resume your ethnic journey through the Somba region. See its famous tatas or adobe castle houses, where you can admire the purity of this country of myths and legends. Crossing the border, reach the Togolese city of Kara and its lively market. Continue the route to the Muslim Sokodé, passing through fields of sesame and cacao trees, before reaching the mountainous Atakpamé. Return to the civilization in Lomé to visit the peculiar market of the fetishes and the Mama Benz. After seeing the coast of the Gulf of Guinea arrive at the colonial Grand Popo, to navigate the lagoons of the Mono River and attend colorful voodoo ceremonies, letting yourselves be carried away by the hypnotizing dance of the Zangbetoor, guardian of the night. In Possotomé, explore Lake Ahémé, with its small villages, where you can learn about traditional fishing techniques. In Ouidah, annual protagonist of the Voodoo Festival, visit the Pythons Temple and the door of No Return, testimony of one of the most important diasporas in history. Traveling to Benin also means tasting its gastronomy, which is very diverse due to the ethnic and cultural complexity of the country. In some populations corn is its main food and serves for the preparation of several dishes. The meats - mainly ox, chicken, pork and rabbit - are accompanied with vegetables and rice. Ethiopia is a unique wonder on Earth, the cradle of humanity. Traveling to Ethiopia is a complete experience that few countries can offer in their entirety. Visit the capital Addis Ababa and stroll through the large open-air market, see the skeleton of the famous Lucy Australopithecus in the National Museum, and the remains of King Haile Selassie in the Holy Trinity Cathedral. Lalibela, a place of pilgrimage for Coptic Christians, is one of the essential gems to discover in the country. Gondar, the Camelot of Africa, a city full of castles and walled complexes among abundant vegetation, is a real contrast to the rest of the country's landscapes. Gondar, one of the largest cities in the country, is probably the most emblematic place of the Timkat, although this event is celebrated with great intensity throughout the region. The Tabot, a model of the Ark of the Covenant, is present in all the Ethiopian altars and goes out in procession. Nowhere is the festival more spectacular than in Gondar, in whose palaces the Ethiopian emperors reigned from the 17th century. The main ceremony takes place in the Royal Enclosure of Fasilidas Castle, located on the outskirts of the town. It is also a good place to go on a hiking excursion through the Simien Mountains National Park. In the middle of a green valley you will find the Bahir Dar falls of the Blue Nile, a magical place with the appearance of an oasis. Sail through Lake Tana and discover in the midst of calm its dozens of islands and monasteries and Ethiopian churches, circular in shape and decorated with frescoes of the time. Omo Valley feels a rhythm of life away from modernity, here live many ethnic groups that continue to practice rituals and traditions. You can spend time with tribes such as the Hamer or Mursi that are a real treasure for anthropologists. Explore the Danakil desert, one of the rarest places in the world as it hosts salt deserts and lava lakes. Climb the Erta Ale volcano and observe the lava bubbles exploding, in what they call hell on Earth. Aksum and Harar are some of the cities of Ethiopia to visit. The first was an ancient powerful empire and land of the Queen of Sheba which, according to the Ethiopians, houses the relic of the Ark of the Covenant. In Harar you can travel the thousands of alleys, visit markets, mosques and get into the harari culture. Enjoy the ritual of Ethiopian coffee, a product valued worldwide and that in the country is considered almost a treasure. Visit the churches of Tigray, hidden in the middle of a rural landscape. The location of these, the frescoes that decorate them and the ancient stories that they contain, make this place a magical place. Some typical dishes of restaurants in Ethiopia are Tif FirFir, FirFir and Tegabino, a kind of red puree that is eaten with the ingest. It is a kind of very thick pea puree with fried tomato and onion. Kenya is among the best African countries to visit. Lamu is often seen as the limit of the Kenyan coast over the Indian Ocean with wonderful vestiges of the Swahili civilization, to a greater extent even than Mombasa or Zanzibar, picture-postcard beaches, dhow-style sailboats sailing from one side to another, coral reefs. For anyone who comes looking for exoticism, Lamu embodies that mystery made of Levante and the ocean. The dhow, a traditional boat of the Swahili people, is still used by fishermen every day. Dive into the sea of coral, populated by tropical fish of dreamy colors, in front of the Lamu island. Lake Nakuru is especially famous for being home to several black rhinos. In the past the lake was full of flamingos. This site is one of the best for taking close-up pictures of animals. A good trip would include both a visit to Lake Nakuru, and a visit to Lake Naivasha. 480 km from the capital Dodoma, located on the Indian Ocean coast, Dar Es-Salaam is the most important city in Tanzania. Dar Es-Salaam is a truly legendary name, which by evoking it simply, generates an irresistible desire to travel. For most tourists, Dar Es-Salaam represents the first stop on a trip to Tanzania. From there you have to get on a bus, plane, boat, bicycle, or whatever, to reach places like Arusha and Zanzibar. Although now Dodoma is the official capital and Arusha is the natural starting point for tourists heading towards the big parks such as the Ngorongoro, the Serengeti and the Kilimanjaro, Dar Es-Salaam as the mythical city. The Lemosho route trek allows you to climb the Kilimanjaro following one of the quietest, longest and longest routes. The starting point of the ascent is Londorossi Gate, following a narrow path that runs through the first days a tropical forest with great wildlife and that continues through the vast highlands of Shira. It offers, along its entire route, some of the most spectacular landscapes in Tanzania. The trekking of Kilimanjaro by the Machame route, is a route of camps that approaches by the southwest of the mountain and that offers us varied and spectacular views during the ascent. Going up Kilimanjaro for this route is demanding, for a rugged terrain, but the effort is rewarded by the incredible beauty of the landscapes. It is considered one of the most beautiful routes to climb the highest mountain in Tanzania. The Marangu route is the most popular route to climb Kilimanjaro. This trekking route in Tanzania is recommended for those with less experience and preparation. The route has shelters where you can spend the night, following a very well defined path that offers the opportunity to observe the local fauna and flora during the entire ascent to Kilimanjaro. Complete a safari for the most important reserves such as Serengeti or Ngorongoro and ending on the Zanzibar island, a paradise bathed by the Indian Ocean with magnificent beaches of white sand and turquoise waters. Here we find beautiful cities such as Jambiani within the Unguja island, between the towns of Makunduchi and Paje. In the region we also find Stone Town, the most important city of the place. The nights in Jambiani are very calm and the views of the starry sky are unforgettable. You can walk calmly along the beach. There are many small bars and hotel restaurants where you can dine. Zanzibar is the perfect, exotic weekend island getaway if you live in the UAE. 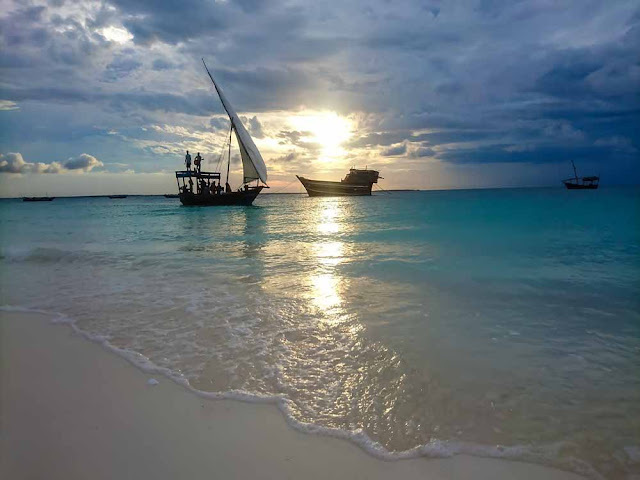 Zanzibar's weather is cool and sunny even in summer, so it's the ideal summer escape. This country has Arabian, Indian, African and European influences, which shows up in its food, culture, architecture and clothing. Explore Stone Town and check out its beautiful old colonial architecture. Snorkel in Nungwi Beach or go diving and kite surfing. Take a trip to the exotic private animal reserve, Cheetah's Rock, to check out native fauna. The path or rather the forest track that leads to Lake Natron is great and worth the torment of traveling for a few hours between the jolts of a dalla-dalla, a truck or a 4x4 from the city of Arusha. Across the Great Rift Valley, the track crosses the Maasai territory, formed by endless plains and hills that accentuate the greatness of the landscape. Although the space has remained quite wild, apart from some Masai shepherds along the way, at most you will cross with some zebras. In the second half of the journey you will possibly see lions. You will pass through the towns of Selela and Engaruka. After having traveled half of the 80 kilometers from Mto Wa Mbu to the lake, there is not much alternative. But all that is quickly forgotten when you reach the shore of Lake Natron. It has surprising colors due to the composition of the water, and an extraordinary population of dwarf flamingos. Lake Natron is isolated from the Serengeti-Ngorongoro route and accommodation possibilities are limited. Oldonyo Lengai is the sacred mountain of the Masai. And its ascent, which takes place at night, becomes one of the most special experiences of the trip. If you decide to get away from the classic tourist circuits that usually take you from the Serengeti National Park to the beaches of Zanzibar passing through the Ngorongoro protected area or the Kilimanjaro peak, you can, for example, go directly to the south, towards the region of the plains. After crossing the whole country, you will probably reach the city of Mbeya. Currently, Mbeya is a city in the middle of different roads, a necessary step on the road to Zambia and Malawi . Before becoming the economic capital of the region, it was born in the 1920s in full gold rush. Botanists will not miss the opportunity to visit the Kitulo National Park. It is known as the Serengeti of flowers. In the rainy season, from November to April, the flowers bloom and the landscapes are wonderful. Many consider it to be the greatest floral show in the world. Sixty miles from Mbeya, you can admire the Mbozi meteorite, which is one of the largest in the world. Finally, hiking enthusiasts will put on their sneakers and embark on magnificent walks in the heart of a sumptuous nature. The Loleza mountain, the Mbeya peak, discovering small towns, the Poroto mountain are beautiful goals to reach in a day or something else. Facing the Atlantic and extending into the interior of Africa, Angola is pure diversity and one of the last mysteries of Africa. The country remains closed to travelers (except the most adventurous), with a severe visa policy. Behind its borders lies the second largest waterfall on the continent, remnants of the Portuguese colonial past, emerging national parks, beaches and a mix of diverse and highly stoic people. Angola has spectacular natural attractions. The number one is occupied by the Kalandula Falls, on the Lucala River, near Malange. Lubango offers impetuous waterfalls, spectacular volcanic fissures and a vibrant small-town environment, surrounded by mountains and nestled in a cool valley. Kissama (also Quiçama), 70 km south of Luanda, is the most accessible and well-stocked wildlife park in Angola, a huge strip of coastal savanna dotted with knotty baobabs. Nestled on the Atlantic coast, Benguela is the second largest city in the country and the self-proclaimed cultural capital of the republic. Start the visit in Windhoek. The capital of Namibia is usually the point of entry and exit of the country and, for the vast majority of travelers, the first contact with the country before entering the desert. The small historical center surrounds the Lutheran Church of Christ and the Alte Feste, a military building built by the German colonial authorities that today houses the Museum of Independence. In Windhoek there are a couple of other museums, the National Gallery of Art for lovers of African art, a couple of shopping centers and an interesting Local Crafts Center.One day is enough to see the most important part of the city. There are also a couple of good restaurants and some places to have a drink at night. But what most catches attention is the Meteorites exhibition at the Post Street Mall. There are about thirty space boulders that fell to the planet in prehistoric times near the town of Gibeon. As a curiosity it is said that the tribes of the area used these meteorites as an iron mine for centuries. Another good experience is to take a walk through the popular district of Katutura. The Waterberg Plateau Park is located in a spectacular area marked by a deep valley where an important mass of vegetation develops. An interesting visit to Ethosa is the Hoba Meteorite, a huge metallic boulder that fell from the sky about 80,000 years ago and is the largest meteor found on the entire planet so far. It weighs about 60 tons. In places like Twyfelfontein 3,000 years of history concentrates with engravings and cave paintings in which many of the great African fauna and the humans who lived here in the transition period from the lithic cultures to the metal ones are represented. The figures have been interpreted as manifestations of shamanic rites characteristic of hunter-gatherer societies. We are facing one of the most important rock deposits in Africa comparable to those of Tassili N Najer in distant Algeria. Very close to the paintings is the mountainous area of ​​Damaraland, one of the most beautiful and impressive in the country. If you like arid and monumental landscapes like the Grand Canyon or the Great Australian Desert, you cannot miss this place. There are several accommodation options that range from luxury lodges to campsites. If you go by rented car, you will surely choose to spend a night in the city of Opuwo before continuing towards the border with neighboring Angola. There you will begin to see the first Himbas, the mythical tribe of the Kunene region (northern Namibia) which is famous for the proud attachment to its traditional culture. From here you can easily access the Epupa Waterfalls and to the Himba villages. Also in this area are the villages of the Herero, a human group related to the Himba that are characterized by the colorful long dresses of their women. The Skeleton Coast stretches for about 600 kilometers in the extreme north of the country reaching the border with Angola. This stretch of white dunes meets the Atlantic Ocean in a veritable hell of ocean currents and winds that make the place one of the most dangerous areas for navigation for hundreds of years. Many ships have been shipwrecked there since the time when the Portuguese started the African circumnavigation routes. Between the mine of Toscanini and Mowe Bay there are a good number of boats stranded, some of several centuries old. The most evident traces of the three decades of German colonialism in the country are found in the coastal city of Swakopmund. From here you can easily reach the most accessible attractions of the Namibian desert. The Sesriem River Canyon, despite being at the gates of the Namib is one of the few places where there is water throughout the year. The fossil dunes of Deadvlei where the famous petrified trees and the Big Daddy Dune are located are one of the highest dunes in the world. Very close to the Sesriem Canyon is the small airstrip from which depart the air excursions that offers panoramic flights over the Namib. These are some places to see in Botswana. Observe the Okavango Delta by sailing in mokoro (traditional canoe) or flying over it in a small plane. Imagine a 1000-kilometer river that does not flow into the sea, but into the arid Kalahari desert and the salt pans of Makgadikgadi, thus connecting three ecosystems and the impressive baobabs. Here live the Bushmen (San people), nomads of the desert. Spend time with the San people, the oldest people on earth whose presence goes back to 20,000 years ago. They are nomads and inhabit the Kalahari desert. Camp in full safari and spend the night under the stars, in the middle of the African nature. Observe the cave paintings in the Tsodilo hills. Take advantage of the proximity to move and see the Victoria Falls from a helicopter, in the border area of ​​Zambia and Zimbabwe. Chobe National Park is a huge park crossed by the Chobe River, which goes from the Victoria Falls to the Okavango delta. You can tour it by 4x4 or by the river, so you will see an extensive fauna in its wild habitat, including the other Big Five. The best time to travel to Botswana is from May to October. About 6 hours by road from Johannesburg (although you can go by plane), it is totally inconceivable to schedule a trip to South Africa without including a view of the Kruger National Park. Combine it with the tropical paradise of Bazaruto Island, off the coast of Mozambique. You will explore the African savannah, sleep under the stars in a luxury camp and discover the Big Five. There is no bad time for a safari in the Kruger National Park. In fact, it is fascinating to see the African savannah in different seasons. Nature is a capricious lady and the truth is that you never know what you are going to see. The experience changes from one month to the next. In the summer months, for example, it is very hot, which is ideal for those who want to escape the winter in the northern hemisphere and rest by the pool. The temperature in the winter months is ideal during the day, although some warm clothes are needed at night and early in the morning. The sighting of animals is easier and at night you can treat yourself with an excellent bottle of wine along with a crackling wood fire. The best thing will be to experience both seasons! During the summer there are lots of beautiful migratory birds. The most common are the morning safaris that return early to avoid heat. In the autumnal period, the vegetation begins to change and the savannah goes from being a lush green color to a lesser vegetation with a brown tone. The temperature starts to get colder at night, but during the day it is still hot. In the afternoon, heavy showers and thunderstorms may occur. Experience the beauty of Cape Town and discover how it feels to see whales and sharks in the Cape Floral Region in Overberg. Lesotho is called the kingdom of heaven, home of the traditional Basotho people, where the shepherds take care of the sheep on the slopes and riders wrapped in mantles ride through the mountains. Lesotho is a tremendously undervalued destination. It is safe, cheap and very accessible from Durban and Johannesburg. In addition, it offers excellent opportunities for hiking and the infrastructures of its national parks progressively improve. In the low lands (above 1000 m) the simple way of life of its people takes place, and in the ​​Teyateyaneng and Maseru area there is magnificent craftsmanship but we must not stop exploring the valleys and mountains crossed by streams that once were a playground for the dinosaurs. Sani Top is on top of the pronounced port of Sani, on the only reliable (albeit sinuous) road that crosses Lesotho through the Ukhahlamba-Drakensberg mountain range, in KwaZulu-Natal. Sehlabathebe National Park, the most undervalued reserve in the country is as remote as it is steep and beautiful. Katse houses the highest dam in Africa (1993 m), whose serene reservoir, surrounded by steep green hills, is a good place to make a stop. Nestled in the bowels of the rugged Maluti mountains, Ts'ehlanyane National Park protects a beautiful area of ​​unspoilt nature at high altitude, which covers the only native forest in the country. The Maletsunyane waterfalls are an hour and a half walk from Semonkong. Mokhotlong is the main town north of the port of Sani and evokes a Wild West style environment. Madagascar possesses species of animals and plants unique in the world as a result of the isolation produced after the separation, millions of years ago, from the rest of the African continent and later from India. This fact favored that the evolution of flora and fauna there has been different from that of any other part of our planet and hence its exclusivity. Can there be a better reason to visit a country than to see species that you have never seen before? This guide is designed to help the independent traveler who is planning his trip to this country. The visa can be obtained on-arrival at the Ivato airport. What to see in Madagascar? The grand Tsingy de Bemaraha is known for its pointed rock formations, karstic mountains molded by the underground waters that have eroded it to give it that peculiar shape, so seen in the Madagascar guides. Undoubtedly one of the most famous places in Madagascar is this avenue in which the protagonists are the baobabs. The avenue is very close to Morondava. The Anja reserve is very close to the town of Ambalavao. In this small reserve enjoy the catta or ring-tailed lemurs, the best-known animals of this island of Africa. Very close to the small town of Andasive is the Analamazaotra reserve, one of the parks where you can see the indri, the largest lemur of all. The Andasibe-Mantadia National Park is located about 20 kilometers from Andasive. The main protagonist is the dreaded fossa, the largest predator in Madagascar. Visit the Grand Tsingy de Bemaraha. The fastest option is to go by road to Belo-sur-Tsiribihina and from there to Bekopaka. Embark on the adventure of descending by canoe down the Tsiribihina River, camping on the river bank and being surprised discovering the wildest fauna. Antsirabe is located in the central area of ​​the country. Ambositra is the capital of craftsmanship in Madagascar, a town in the central lands where you can find wood carvings, raffia baskets or marquetry. Morondava is a quiet coastal town in western Madagascar famous for being only a few kilometers from one of the most visited places in the country, Avenue of the Baobabs. Morondava is divided between the coastal town and the area of ​​Nosy Kely, near the beach of Bethany. Despite being the capital of the country, Antananarivo is not what one imagines and has nothing to do with a big city. Seychelles islands are often perceived as one of those destinations unattainable by elitists and very expensive and an Eden reserved for patricians or wealthy newlyweds eager to celebrate love by spending money in handfuls. This being true, it is also true that there are ways to travel to Seychelles for a couple of weeks for much less. Well, the first thing is to get to Mahé, where the international airport is. In it you can find the highest peaks of the islands of the Morne Sychellois and the Trois Frères. The capital of the Seychelles, Victoria, is located in Mahé. Continuing down Benezet street you can reach the Sir Selwyn Clarke Market, which on Saturdays offers a special spectacle of color and bustle in the middle of the different stalls. The Francis Rachel street is known for the many shops that are located in it, by Kenwyn House, traditional style house and by the bust of Pierre Piovre who encouraged the cultivation of spices in the islands. Beau Vallon is the most popular beach in Mahé with three kilometers in the shape of a half moon. This beach has fairly swell waters so it is ideal for windsurfing. Anse à la Mouche is much quieter and you can practice swimming and water sports with complete peace of mind. Baie Lazare is a pleasant fishing village with a beach shaded by trees that grow near the shore. Punta Noroeste, with its typical rocks and its exuberant vegetation, is one of the most beautiful beaches on the island. The Baie Ternay Marine National Park is also very pleasant, less congested by tourists than Sainte Anne and in a better state of conservation. Praslin is the second largest island in the Seychelles. Perhaps the greatest attraction of Praslin is the Vallée de Mai. In this valley the Coco de Mer, one of the symbols of the Seychelles, is preserved. Even quieter than the previous ones, La Digue is full of pink granitic rocks that have given it worldwide fame. On this island you can see great constructions of Creole style. Anse Patate is a good bay to bathe before entering the wild coast where the wind blows with great force as in Anse Gaulettes, Anse Grosse Roche, Anse Banane and Anse Fourmis. The islands are expensive and do not stand out for their great gastronomic offer. There are, of course, fish and fruits. But everything else is imported. So spending on food is as flexible as you want. Bangladesh is a country that is not usually news, nor has any great attraction that makes it known, that's why it is forgotten, as if it were a state more of India without anything interesting to show. It is located in the Bay of Bengal. The easiest way to enter Bangladesh is by train. Three times a week the Maitree Express runs. It is an international service that links Kolkata with Dhaka in less than 12 hours. Most countries require a visa to enter Bangladesh. If you enter the country by plane you can apply for an on-arrival visa that is processed directly at the airport. But if you enter by land, you must first process the visa at any Embassy or High Commission in Bangladesh. Most of the few tourists that visit the country do so from India, thus processing the visa in New Delhi or Kolkata. The food in Bangladesh is cheap. You have to eat where the local people eat. It is cheaper to eat Bengali food than international food. The accommodation depends a lot on what type of trip you want to make. In Bangladesh, guest-houses are very common. Dhaka, the main gateway to the country is a city to get lost. Birisiri is located on the border with India. It is a traditional village with sand streets and children climbing kites. Nearby is the China Clay Hills, a turquoise water lake surrounded by green mountains and rice plantations. The landscape is fascinating. Chittagong is the second most important city in the country. The grace of Chitttagong are the trekkings and mountain roads that leave from there. Sitakunda is famous for the Chandranath Temple. It is located on top of a mountain. The views are the most beautiful. You even get to see the sea. Srimangal is a small town with three streets and six corners. The greatest charm are the tea plantations that surround it. There is not much to do except walk aimlessly, chat with locals and drink chai. Shylet is the capital of the northeastern region of Bangladesh. Like Srimangal, tea plantations are the reason why the few tourists visit the region. Bhutan is a country that strongly protects its culture and traditions. Some consider it to be the last Shangri La, with an impressive landscape of illustrated fairytale, where the snow-capped peaks of the Himalayas rise over shady gorges lined with virgin forests, and dzongs that rise like majestic forts and monasteries. Bhutan is famous for having created Gross National Happiness as opposed to Gross Domestic Product based on 4 pillars of sustainable tourism, preservation and promotion of local culture and traditions. In few countries of the world such great importance is given to the local culture, conservation of the environment and good governance. Bhutan has only one international airport that is in Paro, the third city in the country. Paro is 1 hour by car from the capital of Bhutan, Thimphu. It usually appears on lists of the most dangerous airports in the world, although there are no records that there have been accidents in it since 1950. Only two airlines fly to Bhutan and both are local with Druk Air and Bhutan Airlines. In Thimphu, the great Buddha Dordenma, from the top of a hill, leads the whole valley. Tamchhog Lhakhang, a small private temple accessed through a suspension bridge, and the Tashichho dzong, Buddhist monastery and fortification, imposing and harmonious, are essential visits. The national animal of Bhutan is called Takin and is a interesting mammal that looks like a mixture between a goat and a cow. The trip to climb the Temple of the Tiger's Nest takes around 4 hours. It can only be accessed on foot or horse, after a long and intense road, but it is definitely worth it. The Tiger's Nest, called Taktsang Monastery, was built in 1692 around a cave in which a monk named Padmasambhava meditated. This monk was the one who supposedly introduced Buddhism to Bhutan. The temple is spectacularly built on a cliff above 900 meters above the Paro Valley and 3120 meters above sea level. A few hours away from Paro by the highest passable road in the country, the little frequented Haa valley houses magical hermitages nestled in the rock, ancient temples and charming villages. The Punakha Dzong fortress is the most impressive in the country and the second oldest. Chimi Lhakhang, the temple of fertility, is a beautiful traditional architecture and colorful decoration inside. Go through the Phobjikha valley and see the black-necked cranes that migrate from Tibet, one of the birds most valued by the Bhutanese. Trek the Dochula mountain pass, with its 108 stupas and the temple on top of the hill. The routes of Bhutan are physically demanding but at the same time very rewarding like Bumthang and Jomolhari and are ideal for day trips. While on a road trip, Phuntsholing is the official entry and exit points to Bhutan from India. When planning a tourist trip through China there are cities or areas of the great Asian country that you may not consider as essential visits, contrary to what happens with Beijing, Xian or Shanghai. However, they should be taken into account as alternatives because they have enough attractions to be included in a route through China. This is the case of Chengdu, a city that is perhaps not too well known, located in the province of Sichuan, southwest of China. Chengdu is a good option if you consider including the visit to Lhasa, in Tibet in your trip to China. On the one hand, in the vicinity of this great Chinese city you can visit the Chengdu Research Base of Giant Panda Breeding. Two hours by road from Chengdu you have the possibility to visit the Leshan Great Buddha, the biggest statue of a Buddha carved in stone at 70 meters high in the natural environment of Mount Emei, one of the four sacred mountains of Buddhism in China. Likewise, in the vicinity of Chengdu you can also get close to the Jiuzhaigou Nature Reserve , where you will find characteristic landscapes of lakes and mountains. And also in the vicinity is Mount Qingcheng, in whose landscapes that are known as the paradisiacal view, they get to concentrate up to 40 historical buildings of the Taoist culture. Nansha Wetland Park is one of the most beautiful natural environments while traveling china, and the best place to observe the different species of birds that inhabit this area of ​​Guangdong. The Nansha Wetland Park is 60 km away from the city of Guangzhou, in the estuary of the Pearl River. It is a protected area where activities such as agriculture and fishing are still taking place. In winter thousands of migratory birds cross the sky, granting a rare beauty to the landscape. It will happen to you to enter a restaurant in China, ask for the menu and not understand anything since it is written in Mandarin. But do not despair. There are many restaurants in China that have pictures of the dishes on the menu or even hung on the walls of the entire restaurant. But beware, they sometimes cheat. Something that never fails is to ask for fried rice or fried noodles, this would be rice or sautéed noodles with vegetables, chicken, pork or shrimp. They are what we know as chow fun or chow mien. There are some restaurants that has refrigerators full of noodles, vegetables, meats, sausages, mushrooms, where people choose several things in a metal bowl, give it to the cook and it is returned in the form of delicious soup. And finally another type of restaurant that you discover is a buffet type. The good thing is that it is super varied, that you see what you are going to eat and that you have divided the dishes for prices. In the restaurants of China they usually serve you a free tea kettle. In some restaurants the tables are specially adapted with a hole for the pot where the fire comes from. Yunnan is a journey through time to discover traditional villages and markets, endless rice fields and breathtaking mountain scenery. Visit the ancient city of Lijiang. Go to the Baisha village and the beautiful Heilongtan park. Three Parallel Rivers National Park is a mountainous area where three rivers of great caliber like the Yangtze, Mekóng and Salwin come together in one of the most important sanctuaries of biodiversity of China and the entire Asian continent. Kunming is divided into two large Jinma Biji and Dongfeng squares that are linked by pedestrian streets where the flower and bird market is organized and shops and restaurants abound. Nailed by Lake Dian, its silhouette, although changing as everything in China, shows a large number of temples, all surrounded by gardens. Its origin dates back to 2,400 years and was one of the stops of the Silk Road. Located in the Diqing prefecture, the landscapes of Shangri la will leave you speechless. Do not miss the visit to the monasteries of Gandan-Songzanlin and Gandan-Dongzhulin and the Pudacuo National Park. Love Trekking? Mountains and Monasteries? If your answer is yes then Tibet is definitely a place for your visit from the USA. It offers you breathtaking treks, monasteries and a different culture to live on your trip. You can experience spiritual nature of Tibet in the prayer halls of chanting monks plus the aroma of juniper incense and yak butter. Jokhang Temple is the oldest temple in Lhasa! Discover why this monastery together with the Potala Palace are part of the World Heritage declared by UNESCO. Visit the Potala Palace, where we can perceive the importance of religion in Tibet both in the day to day of the religious and in the daily life of the population. Sera Monastery is famous for the debates that monks perform among them outdoors, their gestures and shapes are worthy of admiration. Drepung Monastery is the largest Buddhist Monastery in Tibet and one of the three pillars of the Tibetan State. Leave Lhasa in a westerly direction towards the Kampala Pass at 4700 meters of altitude, from here we will be able to observe the views of the Yamdrok Lake of a beautiful turquoise blue and the snowy mountain Nyenchen Khangsar. Cross Tibetan villages and beautiful valleys to reach the Karola Glacier (5150 m) to see the glacier of the sacred mountain Nyenchen Kangsar. Upon reaching Gyantse explore Kumbum Stupa and the Palkhor Choede Monastery, known for their ancient sculptures and paintings. Continue towards Shigatse. Visit the Tashi Lhunpo Monastery and Sakya Monastery exploring the streets and the pilgrims. Spend the day driving from Saga to the Brahmaputra Valley. See spectacular views from the vehicle of the Himalayas to the south and the transhimalayas to the north. In this part of Tibet, the majority of inhabitants are still nomads who live following the same customs as hundreds of years ago. Cross sand dunes, mountains and sandy valleys before reaching Lake Mansarovar. This is one of the four sacred lakes of Tibet that receives thousands of pilgrims from Tibet, Russia and India. From here move towards Darchen, a small nomadic town that is the departure point of the pilgrims. Leave from Darchen to begin the trekking in a clockwise direction around Mount Kailash at an average height of 4700 meters above sea level. Walk with the pilgrims who follow the same route. After about 4 hours arrive at Tamdin (4780 m), and the Dirakpuk Monastery. Go through the controls of Dikpala (5000 m) and Dormala (5600 m) to get to see Mount Kailash and continue to Zultul Puk. The visit to Mt Kailash is an essential part that attracts many tourists worldwide. The views of the spectacular mountains will surely win your heart. You can explore Tibet and gather lasting memories by having a bottle of Lhasa Beer in Lhasa Teahouse, and the yak-butter tea. The Tibetan people with a great heart will make your traveling safe and most memorable in Tibet. In Conclusion, if you are a travel lover then Tibet is a great place for spending your holidays and is one of the cheapest place to travel from US. Mongolia, at the eastern end of the steppes of Central Asia, far from the sea, is a jewel of steppes and forests, remote mountains and arid plains. In autumn and spring many migrating birds come to Lake Ugii in the Uvurkhangai province. Travel through the Karakorum, the lakes and virgin forests of Tsenheriin, Ulaanbaatar, with the overflowing nature of the Siberian region of Lake Johsvhol and ride on camels through the immeasurable Gobi desert sleeping in the typical "gers" yurts. You can travel there for days without meeting a living soul. By riding on horseback or Jeep the immense distances of this plateau altitude, we can see antelopes, wolves, horses in freedom, yaks, camels, lakes by the hundreds, isolated villages, warm camps of yurts, the Siberian taiga and the Gobi desert. Wild camels, bears, lynx, snow leopard or even argali are among the largest occupants of this huge territory, not to mention the emblematic horse Prjevalski. The small fauna is not rare either. Throughout the territory the most observant of you will be able to observe sable, marten, beaver or even otter, living testimony of the good health of the Mongolian natural environment and in particular of its fish-rich waters. From the capital, Ulaanbaatar, almost mandatory entry point in Mongolia, you can go in all directions and experience an absolute freedom. It is true however that it is interesting to acclimatize a few days to take the time to visit the Gandan Monastery, the Museum of Mongolia or the museum of natural history. Karakorum is a city located west-southwest of the capital Ulan Bator, about 5 hours drive. Kharkhorin will serve as a base to visit the magnificent Erdene Zuu monastery, built in 1586 by a nomad prince, surrounded by 108 sacred stupas. Huge stone turtles surround the monastery. Located northwest of Ulaanbaatar, the Monastery of Bliss is a Buddhist holy landmark in Mongolia. This Gelugpa Buddhist center is located in a steppe, surrounded by hills, not far from Mount Buren Khan. Altai Tavan Bogd National Park is located in the far west of Mongolia. Grouping on its territory the 5 sacred mountains of the Altai, the highest point of this park, Mount Khuiten, culminates at 4374 meters above sea level. The park includes high mountain areas with glaciers and glacial rivers and then a mid-mountain area located at about 2500 meters above sea level. In addition to rich and opulent flora and fauna, you will also find petroglyphs depicting hunting scenes and numerous animals. Khongor Dunes is unique you will soon realize when you will face this unlikely landscape. Indeed, the transition between the different natural spaces is abrupt and radical. From a green horizontal extent, you will pass to a wall of sand. The mineral of the dunes and the vegetation of the steppe will confront and assemble in a unique way to the world. Many Mongols come here to listen to the singing dunes. The wind on the sand makes these dunes sing and offers an amazing sight beside which it would be a shame to pass. The Yol Valley is a narrow gorge bearing the name of the host of these places, the bearded vulture. You will enter an atypical area with a gorge sometimes so narrow that only two people can pass! Located east of the Gobi Desert, the mineral dominates all the space, the shade that the canyon had to offer in summer is welcome and the wind blows there often engulfing in the vein that the canyon offers. The Mongols have been nomadic travelers for millennia. Despite urbanization, steppe traditions are still alive and well. Even in the cities, most of the inhabitants live in a yurt, a large white felt tent that can move easily, always arranged in the same way. A hike will take you to Shireet Lake, without a doubt the most beautiful in the region. Surrounded by volcanoes and coniferous forests, Naima Nuur Park is stunningly beautiful. On the back of a camel, go for a memorable walk in the sand dunes of Elsentasarhai. Territory of breeders, the sumptuous landscapes formed by the canyons of the Orkhon and its verdant steppe make this valley of the Orkhon a must-see site to discover. Naadam Festival is a type of traditional festival in Mongolia. Locally the festival is also called Eriin Gurvan Naadam. Cholpon Ata is one of the best-known towns of Issyk-Kul, the second largest salt lake in the world after the Caspian Sea and, the highest, after Titicaca. Issyk-Kul Oblast is located east of Bishkek and occupies an important part of the national territory. The fact that in Kyrgyzstan there is no sea beach makes the Issyk-Kul is chosen by the vast majority of the Kyrgyz (and even Kazakhs or Russians) as a destination to spend a few weeks on vacation. Another one of the busiest is Bosteri. To go from Cholpon Ata to Bosteri we took a marshrutka that took us to Bosteri in 10 minutes. The marshrutka was going to Karakol but we asked if they could leave us there. Upon arrival we find the craziest site in the entire Issyk-Kul. Bosteri is full of beach bars of all kinds of food, in addition to the corresponding street vendors. There is everything, even souvenirs, but mostly what you will find is typical food from Kyrgyzstan, such as manti or pelmeni, since it is a food that is eaten a lot. You can also find places to buy hamburgers, frankfurt, kebabs, shawarmas, soft drinks, etc. And all at an incredibly cheap price. In the whole country you will find ice cream street stalls, written Морoженое in Russian. Yes, buying kumis in Bosteri is also possible. Kazakhstan is a huge country located almost on the Asian continent, but with a small region belonging to Europe, something similar to what happens with Russia, a country with which it borders on its northern area. It is also border with countries such as China or Uzbekistan, and has access to the Caspian Sea. As the main attraction of this country you can find the capital, Astana. In it you will discover different places of interest to visit such as the spectacular Mosque of Nur-Astana, which stands out for its incredible four towers and its colorful golden dome. You can also visit buildings of particular architecture such as the Saltanat Sarai or the Shabyt Palace of Creativity. You can not miss the appointment with the Khan Shatyry, a spectacular tent that functions as a venue for shows. Another mandatory visit is to the beautiful Synagogue of Beit Rajel-Jabbad Liubavich, which you will love for its unique light blue facade. In addition, the capital is one of the best cities to know and discover the local cuisine, as it has many places and restaurants where you can try the fabulous traditional dishes of the country. One of the greatest symbols of the city, and of the country, is the sculpture of the Soldier of Gold. This sculpture commemorates the ancestors of the country known as Saks. To learn more about its history, we recommend that you visit the Issyk Tomb, a city near Almaty where you can find the archaeological and historical remains of this civilization. You can not miss the opportunity to explore the natural surroundings close to the city of Almaty, such as the Ilí River, a perfect place to spend the day with the family and enjoy the sports activities you can do there, or the Park National of Ile Alatau , where you can enjoy a day outdoors while walking through spectacular natural landscapes. To finish your tour of the country, we advise you to go to places like the Grand Canyon of Charyn an impressive landscape worthy of photography, or the fabulous Burabay Spa, where you can relax and rest before returning home. Another of the most important cities in the country is Almaty, which served as the capital of Kazakhstan until 1997. This city is perfect to know as it has many places to see and areas that you must visit on a mandatory basis. If you plan to travel to Iran, it is very possible that Tehran will become your gateway to the country. Despite being less spectacular than Isfahan, Shiraz or Persepolis , the capital of the country also has its charms. You cannot miss the Tabiat bridge. In Tehran there are two towers that are iconic like the Azadi tower and the Milad tower. It has an octagonal base that symbolizes traditional Persian architecture and has two panoramic observatories, one exterior and one interior. In addition to telecommunications facilities, it has a luxury restaurant and an art gallery. The entire complex has a congress center, a hotel, a shopping center and a business center. Darband, which in Persian is translated as the door to the mountain, is literally a place to leave behind the bustle of the city to be able to look out to nature. It is full of small cafes and restaurants and is an ideal place to spend an evening. To obtain the visa before the trip you must have completed an application form, have the authorization code, two passport photographs. Keep in mind that the passport does not have an Israeli stamp. The Iranian hotel offer is varied and for all budgets. In cities such as Kashan or Yazd it is common for old mansions to become hotels. The traveler can also find shelter in the old Caravanserais, the accommodations that were built along the silk route. In the restaurants find different varieties of the tasty Persian kebab, served as a skewer and served with fresh bread. The Bademjan, a stew of eggplant and tomato, is also another dish of the most common, as well as the Tahchin, a kind of crispy rice. Although not everyone can afford a Persian carpet or beluga caviar, being native products, they are cheaper. In a more modest price range (although do not expect bargains), Iranian pistachios and saffron are products that enjoy a great reputation. Another typical product is the printed fabrics or qalamkar of Isfahan, which can be found in the bazaars of the city. In Iran alcohol is forbidden, so you better get used to the idea that there will be no fresh beer after a long day of sightseeing. Are you looking for some travel tips to Turkey? For a start it is essential to tour Istanbul, a city full of history and modern at the same time. In a single visit on your circuit through Istanbul you can visit, in just a few minutes, the Blue Mosque, the Dolmabahçe Palace and the most modern skyscrapers. In addition, on excursions you will discover that this city is a fantastic tourist destination to spend your holidays and enjoy its wonderful beaches. You can also enjoy the schooners and the famous blue cruise and Bosphorus cruise. Troy is a city both historical and legendary, where the well-known Trojan War was developed, described in several epic poems. Troy is located in the current Turkish province of Çanakkale, occupies a strategic position in the access to the Black Sea. After centuries of oblivion, the ruins of Troy were discovered in the excavations where a wooden statue of the Trojan horse welcomes visitors. Çanakkale is in the narrow entrance of 1200 m to the Çanakkale Strait (Dardanelles) connecting the Sea of ​​Marmara and the Aegean. Passenger and vehicle ferries circulate daily between Çanakkale on the Asian side and Eceabat and Kilitbahir on the European side. Yachts make stops at the Çanakkale port, well equipped, to allow tourists to spend more time in this area. Homer immortalized Troy in his stories of King Priam, Hector, Paris and the beautiful Helen. Archaeological excavations have discovered nine independent periods of settlement in this place including ruins of the city wall, foundations of houses, a temple and a theater. The city of Biga has given its name to the entire peninsula; It is a city of parks and a good place to see homes built in traditional style. The nearest beaches are in Karabiga, Şahmelek and Kemer where you will find accommodations at reasonable prices. Karabiga is associated with the God Priapos and therefore has roots to the cult of fertility. Çan is well known for its pottery and its sulphated springs, which are considered to be of great help in various diseases of the liver, intestine and urinary tract. There are two other thermal springs in the nearby towns of Külcüler and Kirazlı. Kaz Dağı (Mound Ida, 1774 m), is located at the southern tip of Çanakkale in the beautiful Kaz Dağı National Park amid magnificent landscapes, green areas of rest and several thermal springs. Here in Pınarbaşı, the world's first beauty contest was held between Aphrodite, Hera and Athena. Hotels, restaurants and cafes along the avenue offer visitors an ideal place to enjoy the harbor and fortress of Kilitbahir and the Archaeological Museum of Çanakkale. Visit also Cappadocia, Kusadasi, Pamukkale, Ephesus, Troy, Pergamum. Do not miss the opportunity to do Hot Air Balloon tours, a unique experience that you will not forget. For example, you can fly to Antalya or Kaysery and from there travel to Cappadocia by bus. Millions of years ago, Tuff, a type of rock formed by volcanic ash was deposited in Cappadocia. One of the most emblematic places of the Cappadocia is the Göreme National Park, a place characterized by the characteristic architecture of the caves. Next to Göreme there is also an open-air museum of Zelve. The most famous underground cities are called Derinkuyu and Kaymakli. Near the Göreme National Park is the Red and Rose Valley, named for the pink rock formations found there. Red Valley is also known for being one of the hottest spots during the summer months of Cappadocia, as well as being a wine destination. Ihlara Valley is a perfect place for hiking. The beautiful route has a length of 15 kilometers and all of it constitutes a fairy tale backdrop. The Turkish coast is a great destination to go on vacation or to relax for a long weekend. The Turkish coast has Greek airs and in its coves hide villages and boutique hotels of dream. Alacati in the Izmir province of Turkey, near the end of the Cesme peninsula, on the west coast and on the Aegean is one of them, a beautiful coastal village that you can enter on your list of destinations for romantic getaways or autumn holidays. The Fun beach, for example, is huge and great with transparent waters and a soft sand seabed. You can rent a deck chair and parasol, a boat for a walk or windsurfing equipment. But there are many more. The Kum beach is one that is closer to the village and one of the most intimate. The Ilica beach has a Blue Flag and one of the most popular and warmer waters. There is also Marrakesh beach. Cesme Bagcilik is beautiful and has an observation tower that gives you great panoramic views while you taste its wines. As for tours around you can sign up for a tour and see the ancient ruins of the city of Pergamon, with a Hellenic theater. Izmir has its own attractions like the Yali Mosque, the Clock Tower, the Museum of Modern Art, and wildlife park or zoo. Ephesus is another great destination, almost a worthy rival of Pompeii. Eskisehir is younger and more modern than Ankara. In Eskisehir its colorful bridges invade the horizon along with Simit's vendors, fishermen and various passers-by. Being one of the oldest cities in the world that has always been inhabited, it is not surprising that Gaziantep encloses wonders to be discovered. You cannot go through Gaziantep without trying their baklavas and pistachios, the local specialties. Great city of more than one million inhabitants located in the southwest of Turkey, on the border with Syria, Gaziantep brims with dynamism. The main attraction is its incredible mosaic Zeugma Mosque. Georgia is surrounded by the beautiful and majestic Caucasian Mountains. It is a gem of a country with beautiful scenery, excellent food, intriguing culture and language. If you want to explore scenic mountains and valleys, then this is the place to head to. Visit Tbilisi, the capital city and dine on popular dishes such as Khachapuri (bread with cheese filling) and Chakhokhbili (chicken stewed with fresh herbs). Batumi is famous for its hot springs and beaches, while Mtskheta is well-known for its historical architecture. 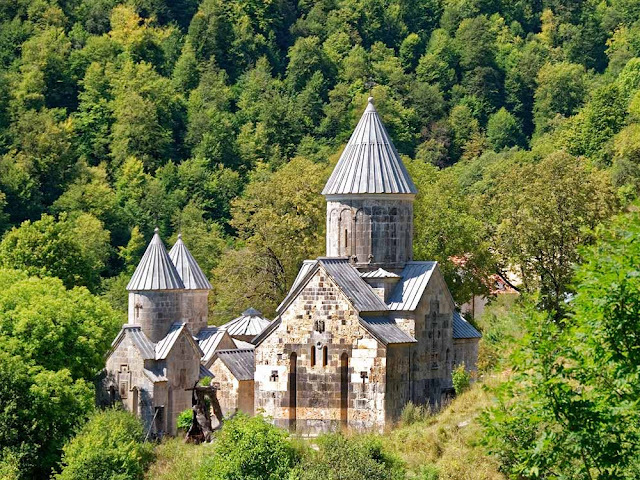 Georgia is one of the best countries near UAE to travel to visit if you are looking for culture, beauty, perfect weather and great food in the Georgian countryside. Azerbaijan borders Russia and Georgia and is protected by the majestic Caucasian ranges. This country experiences 9 of the 11 climates found around the world, so that is an adventure within itself. 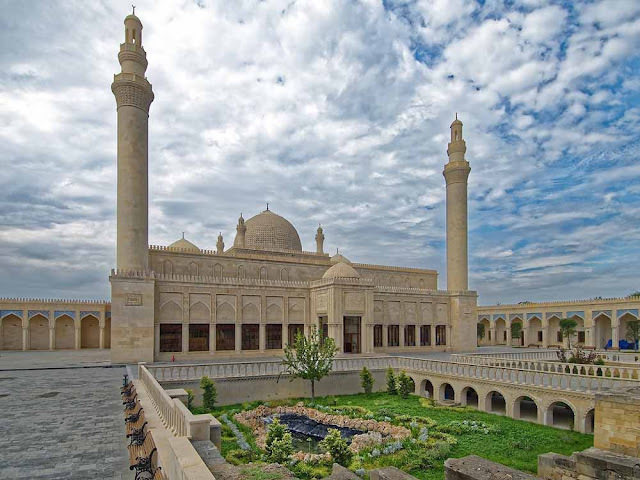 Explore the central city, Baku, a UNESCO World Heritage site. Check out the mud volcanoes in Azerbaijan – there are over 350 located in the region. These volcanoes erupt now and then and tourists visit the country just to watch the volcanoes erupt. Azerbaijan’s food and culture are intriguing as well, along with the various landscapes. Armenia has several beautiful monasteries. The food is lavish and for a small fee, you can rent a private car and roam around the country. Each monastery is located in a picturesque locale. The Sevanavank Monastery is surrounded by blue water on all sides. The Noravank Monastery is situated between the tall Basalt Mountains. This is the site of the lovely Lake Sevan, a famous tourist spot. Enjoy a picnic lunch overlooking the beautiful lake with the monastery behind it. Be sure to add Armenia to your list of travel destinations in the coming year. Nagorno-Karabakh could be an independent country, except that no member of the United Nations recognizes it as such. Although recognized by the United Nations as part of Azerbaijan, in practice the only way to get to Nagorno-Karabakh is by Armenia. Artsakh is mountains, for something it is called Nagorno. Lebanon's war-time environment is long gone. Now the country is peaceful, and perfect for tourism. Be sure to explore Lebanon’s beautiful architecture, ancient monuments, lovely beaches, theme parks, trendy clubs and the many shopping malls. Don’t get stuck in Beirut. Explore other cool places such as Zaarour, with its breathtaking mountain views. Do not miss out Chekka which offers some of the bluest waters in Lebanon. Bsharri offers incredible scenery, being a mountain village, the place where Khalil Gibran was born. If you’re a culture vulture, then explore Tripoli which is well-known for its unique architecture. I want to put aside the political issues, although I will tell you that precisely to understand them better, I consider that the ideal is to travel to Israel. As it will be easy to assume, religious tourism is, by far, the main reason for tourists who usually travel to Israel. Keep in mind that during the trip you will have the opportunity to know places that are part of one of the cradle of humankind. You can sign up for a guided tour of Jerusalem, an excursion to see the Masada fortress and the Dead Sea or a trip to Bethlehem, or focus only on a trip to the Dead Sea. And another alternative would be to sign up for a 7 day tour of the best of Israel from Tel Aviv, visiting Jerusalem, Caesarea, Haifa, Tiberias, Nazareth and other prominent places in the country. Inside you can move freely even in a rental car, although you must first request authorization from the Israeli authorities to access the areas managed by the Palestinian Authority. You will only have free access to this area, without prior authorization, if you are going to visit the religious enclaves of Bethlehem and Jericho. The Ein Gedi nature reserve is part of the eastern end of the Judean desert, in Israel. It is located on the shores of the Dead Sea, near Masada, and includes two small valleys of Arugot and David through which water flows throughout the year as well as four springs. This high availability of water in such an arid environment favors plant and animal abundance. Petra is one of the world’s most incredible archaeological sites. Petra is also one of the New Seven Wonders of the World that can be visited by car or bus from Amman. To Reach Petra you have to walk through a gorge for around 1.2 km. Petra's most impressive monument is Ad Deir Monastery which is scenically perched above the city in the Petra Hills. Petra, Jordan's capital city was one of the most important places in the ancient world. Petra is entirely carved out of red rock, which makes it unbelievably interesting. The city is strewn with magnificent red rock structures, just begging to be photographed. Visit Al-Maghtas on the Israel-Jordan border, one of the most important biblical relics in the world. 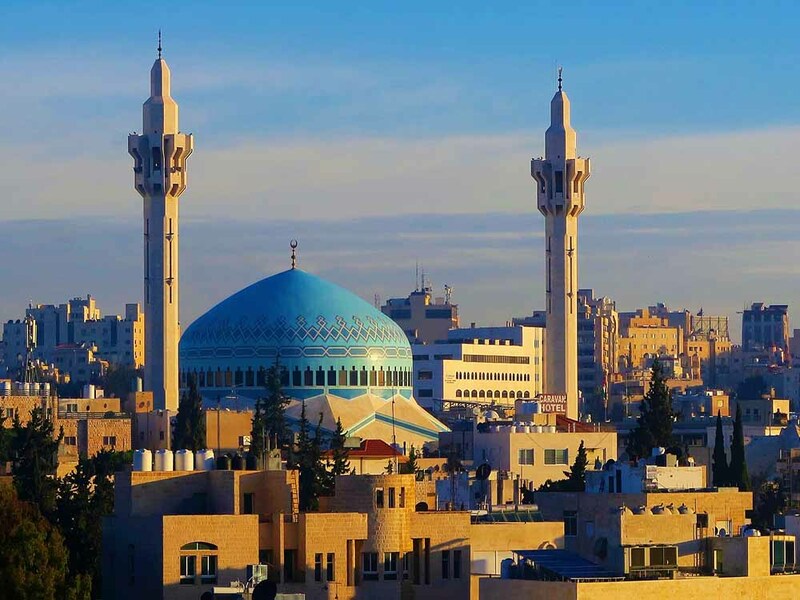 Amman is for culture lovers, while Jerash will pull in anyone who loves towering colonnades and fascinating old temples turned to Byzantine churches. Don’t miss exploring the Mujib Nature Reserve to get to know Jordan’s breathtaking backcountry. Aqaba is situated on the tip of the Red Sea on the Gulf of Aqaba. It is known for its pristine sandy beaches, clear waters studded with marine life. It’s a great place for water sports. Try parasailing, water skiing, and fishing and enjoy it with friends or family. You can also visit Wadi Rum, Jerash, Madaba, Ajloun Castle during your visit to Jordan. The Dead Sea is the lowest point on the surface of Earth. It is 60 times salty than a normal ocean. It is known as the Dead Sea as no one can live in, no fishes, seaweed or plants. You can see the sparkling crystal salt clusters. These clusters are mineral salts. The salts have power and therapeutic qualities which are used in local spas for various body massage. Don't miss out a massage from the Dead Sea salt that will help you rejuvenate. Cradle and spiritual headquarters of Islam, Saudi Arabia has many tourist attractions like Mada'in Saleh, a pre-Islamic city that, like Petra, was inhabited by the Nabataeans. Riad is a jewel of modern Saudi Arabia. Jedda combines modernity and old with a captivating old center with coral buildings and the coast of the Red Sea offers first-class diving options. With almost 2000 petroglyphs and cave paintings, this country is one of the richest open-air museums in the world. And for the Muslim travelers, Mecca and Medina suppose the most sacred destiny. Another tourist attraction is the Asir region, culturally and geographically close to Yemen. It is a mountainous region that breaks the desert stereotype of the country. The coastal region of Yizán, near Asir, also offers some appeal. Specifically, the Farasán Islands offer cultural and scenic assets. Once an oasis in the desert, Kuwait has exerted for centuries as a magnet, attracting Bedouins from the interior. The Towers of Kuwait, the most famous icon of the country, deserve a visit for the panoramas offered of the sea and the city. Bahrain is an Asian island state composed of 33 islands on the east coast of the Persian Gulf. Bahrain is known worldwide in recent years for events such as Formula 1. One of the most important places of interest in Bahrain is the Bahrain Financial Harbor. One of the tourist places that you can not miss on your trip to the Kingdom of Bahrain is the great mosque of Al-Fatih Mosque. Manama is a vibrant capital of the island with a large urban center where the Bahrain City Center stands, a large shopping center with 350 shops of all kinds, with 50 bars and restaurants, the Wahooo water park, movie theaters or the Recreational Magic Planet area, which includes a bowling lane. Street markets are located in the south of the city a labyrinth of streets between Bab Al Bahrain and Lulu Road where tourists and travelers can buy from kaftas to spices, nuts, products local, ceramic pieces or slippers, all in a typical arabesque environment. One of the places to visit in Bahrain that surprises all tourists is the Qalat al Bahrain also known as Fort (Qa'lat) of Bahrain, a place that is a Unesco World Heritage Site, and the ancient capital Dilmun. The one known as the most resistant and solitary tree in the world is located in Bahrain. It is a 400-year-old acacia tree located in the middle of the desert, to which the locals named The Tree of Life. It is believed that this old acacia is one of the trees of Paradise and the proof that the Garden of Eden was in Bahrain. Qatar has become one of the most visited destinations in the Middle East. Doha, the capital, concentrates the main tourist attractions such as the Museum of Modern Art or the Museum of Islamic Art. The State Grand Mosque is the greatest symbol of the ostentation of Qatar and a place of worship for the Qataris. In the Katara Cultural Village, full of theaters, concert halls and galleries you can meet several global cultures and the Heritage Village presents the history of the country in the pre-oil period. To relax, walk along the Doha Corniche promenade in the Doha Bay. Lovers of shopping have at their disposal the Souk Waqif, the municipal market. The best beaches in Qatar are Al Ghariya, Maroona, Khor Al Adaid, Ras Abrouq and Fuwairit. Finish your Qatar itinerary with a visit to the most elegant neighborhood of the city, the Pearl-Qatar, where you will feel a true oil tycoon with so much splendor and ostentation. Oman has much to offer, with its incredible castles, mosques, forts, buildings, museums, and the Arabian Oryx Sanctuary of Jaaluni. Explore the Muttrah Souq in Muscat, where you can buy Omani fabrics, traditional costumes, jewelry and more. 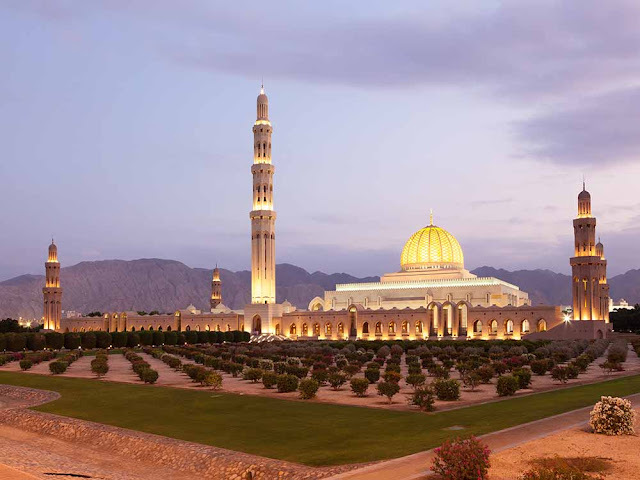 Be sure to visit the Sultan Qaboos Grand Mosque in Bausher. With its large golden dome, arches, decorated interior, engraved walls, beautiful lamps and magnificent central crystal chandelier, it is one of the best things to do in Musandam Oman. Don't miss out the Musandam beaches, with their beautiful white sands. Sign up for a Musandam Dibba tour and explore the waters. One of the most famous beaches in Musandam is Khassab beach. If you are interested in wildlife, visit Ras Al Jinz, a natural reserve for endangered green turtles. Every year, about 20,000 females return to lay their eggs here. Al Ashkharah beach is particularly popular among Omanis. At the end of the afternoon or on weekends (Friday and Saturday) they like to come to the wide beach of almost 15 km long for swimming and picnics in the stone pavilions. The long beach with great conditions of kitesurfing and surfing is less popular among tourists due to its remoteness from a big city, although in reality it deserves more attention. The Masirah island is located off the west coast of Oman and is known primarily by water sports enthusiasts. Because it is possible to surf and dive all year round in front of the beaches of the discrete island. But the island is also perfect for pure beach tourists, as the sunset walks along the long beaches of Masirah are especially suitable. It is better to get to Masirah by car. Since there is no railway system in Oman, it is essential to have a car. From the capital, Muscat, it takes about 6 hours to reach Shannah. From there, ferries depart several times a day to the Masirah island. In the province of Al Sharqiya, 220km from Muscat and its airport, the city of Al Wasil, located 11 km from the slopes, is the gateway to the Wahiba Sands desert. You can sleep in several desert camps in the Wahiba sands, lost in the depths of the desert with true Bedouin tents (without air conditioning) for a total desert experience. For the Romans, Yemen was Arabia Felix (happy Arabia). Gilgamesh came in search of eternal life. Noah threw his ark here. The Queen of Sheba ruled the territory, and the incense trade brought incredible riches. The One Thousand and One Nights aura of its capital Sanaa in the west has multiple layers, colors and drawings. There are the mud skyscrapers in the east, the beautiful mountains of the north, the unusual and fantastic landscapes of Socotora in front of the south coast. The traveler can tour the cities like sand castles of the strange and beautiful Wadi Hadramaut, where once giants wandered and scorpions flanked the entrance to the underworld. The city of Shibam, known as the Manhattan of the desert, is one of the highlights of the valley. The former capital of the ancient kingdom of Saba is considered the most beautiful archaeological attraction in Yemen. Currently, the immemorial domains of the Queen of Sheba are home to Bedouin tribes. One of the most fascinating areas of Yemen is the province of Marib, which was the famous kingdom of Saba. Rising steeply in the humid coastal plains of the Red Sea, the Jabal Haraz mountains of steep slopes have been for centuries a cultural stronghold that protects the heart of Yemen. With such a vast variety of countries to choose from, you will be spoilt for choice when it is time to plan your vacation. All the countries listed in this blog are close to the UAE and Dubai, which means less travel time and more time for sightseeing and fun. Take out your passport and visa and get going. 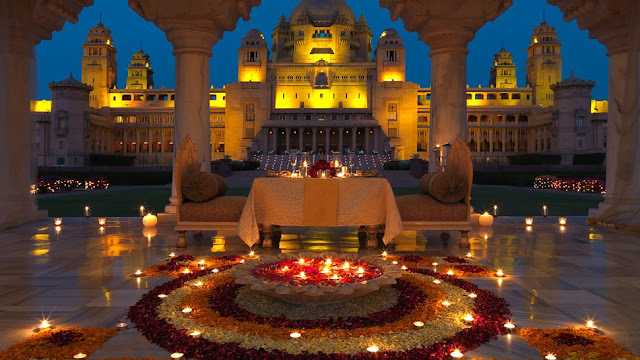 The Sun City of Rajasthan, Jodhpur is the place to enjoy the gleaming sunrise after your Jaisalmer travel experience. The city was found in 15th century and was glorified with many forts and palaces. 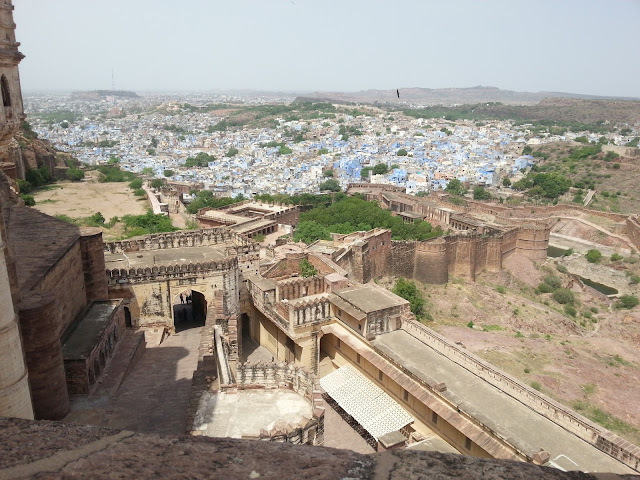 Jodhpur is one of the largest cities in the state and is historically divided into Old City and New City. If you love to enjoy the culture of the land, choose to explore the Old City. For exclusive tourism activities and offbeat things to do in Jodhpur, get a glance of the New City from the world famous luxury train on the Palace on Wheels. Here are the top 5 places to visit in Jodhpur. Every luxury and exclusive Rajasthan tour packages covering Jodhpur, including Palace on Wheels will cover Mehrangarh Fort. This hill fort stands 400 m above ground. 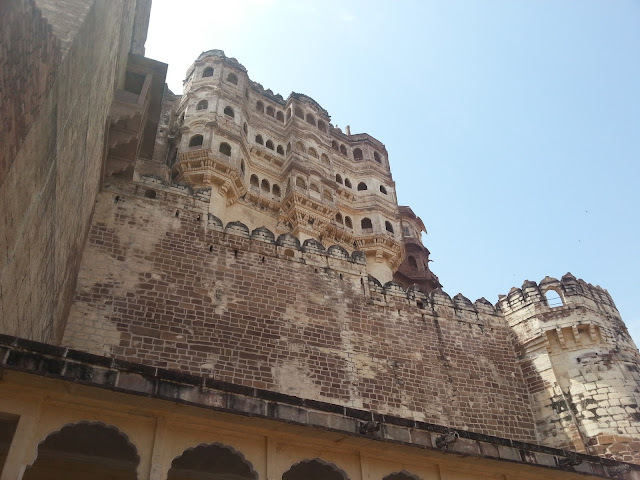 This fort is a great example for ancient Rajasthan styled architecture. Explore the fort museum, Ranisar Lake, Chokelao Bagh, Lake Padmasar and others, inside the fort. If you are looking for some adventure time, try flying fox (zip lining) tour. Built in 20th century, this palace is the largest private residence of the world. This palace holds 347 rooms built with a mixture of European and Indian architecture. A part of the palace is used by the royal family, even today. If budget is not a constraint, you can try staying inside the palace during your vacation. Alternatively, visit the palace for exploring the architecture, museum, vintage car collection, clock collection and others. Built in 19th century, this memorial was built for King Jaswant Singh II. The entire structure was built with marbles. You can find intricate carvings, portraits of Rathore rulers and multi-level gardens in this structure. The most amazing elements of this structure are the carved gazebos near a pond and great view of Umaid Palace from Jaswant Thada. This is 6th century garden, which were built even before the modern Jodhpur was formed. Today, this garden holds a government museum, temple of 33 crore Gods of Hinduism, Hall of Heroes and others. Apart from these, you can find numerous other statues, artifacts and others scattered in the garden. It is one of the refreshing spots to enjoy photography. This garden is famous for spending picnic in the garden or exploring the ruins of Mandore Fort. This artificial lake is famous for bird watching during winter months. This lake was built in 19th century and is famous for boat riding, picnic evenings, photography, viewing sunrise and sunset and so on. Sunset boat ride on the lake is one of the most romantic activities of Jodhpur. 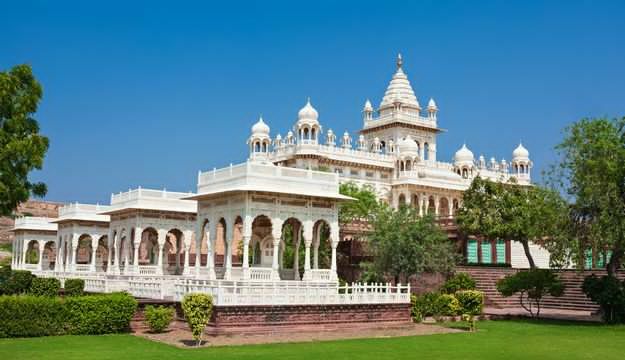 Other exclusive attractions to cover in Jodhpur are Rao Jodha desert Rock Park, Clock tower, Chamunda Mata temple, Balsamand Lake and others. Solo travel tips for Kasol are important especially if you are a first-timer to the region. While it may seem harmless enough, the hilly region of Kasol in Himachal Pradesh comes with its own set of risks. While groups traveling to Kasol are one thing, solo backpacking to Kasol is not that easy. To make your first visit an enjoyable and hassle-free experience, you must keep a few things in mind. Your Kasol solo trip experience will be the best ever this way. Thereby, follow some top solo travel tips for Kasol and things to do in Parvati valley if you wish to travel solo Kasol and its surrounding regions. We have already mentioned about the places to visit in Kasol and Kasol solo trip experience and now we have listed some of the best Kasol solo travel tips below. Is Kasol safe? It absolutely is! So why do you need to follow solo travel tips for Kasol? Well, because the scenic but rough region can be a tricky one to traverse through even for seasoned travelers. There are chances of newbies getting lost. To make your solo Kasol trip a hit, follow these essential solo travel tips. These are good to remember even if making a spontaneous Kasol trip on last minute flights. Your mode of transportation must be the right one especially if you are looking at Kasol Kheerganga packages. Transport-wise, among the best solo travel tips for Kasol is to pick the Volvo buses. These are safer since you are making the Kasol trip on your own. You can take buses from Bhuntar which is about 30 km from Kasol and head toward your destination. You can hire taxis like many of the groups traveling to Kasol but ensure they are verified and legitimate. While buses are often the top choice, renting bikes is another option for solo travelers and couples. Finding safe accommodation can be a bit of a challenge to first-timers new to the region. However, finding safe lodgings is among the top solo travel tips for Kasol and being picky will serve you well. You can scout for cheap homestays and other budget hotels in case you do not wish to spend too much. If budget is not a constraint, you can stay at a couple of slightly more polished hotels a little far off. In the end, whatever type of accommodation you choose, make sure it’s safe and comfortable enough for you. This is especially important if you’re making a long duration trip. Trekking is a big part of any Kasol trip. However, one of the top solo travel tips for Kasol trekking is to do it with a group and carry the lonely planet guide. For one, you don't know anything about the place, the trails, and other important things. Second, it is unsafe to head out on unknown territory alone. Trekking with a group will not only ensure your safety but it will also be fun. You will have the chance to meet other solo travelers in rave parties in Parvati valley just like you making their very first Kasol trip. Who knows, maybe you could hit up your new friends, book a few business class flights, and take the next trip together! Kasol remains one of the best places to visit with friends. A large part of Kasol is made up of Israelis that arrived as tourists and never really went back. Many of these enterprising people have set up shop in Kasol and sell some of the most delicious Israeli dishes ever. Besides local dishes, trying a couple of these lip-smacking Israeli dishes when in Kasol is a must! This will make your Kasol trip truly complete. Top items to gorge on include bureka, shakshuka, and a whole lot more! Some popular Israeli cafes to visit are Stone Garden Cafe, Jim Morrison Cafe, and the Evergreen Cafe among others. 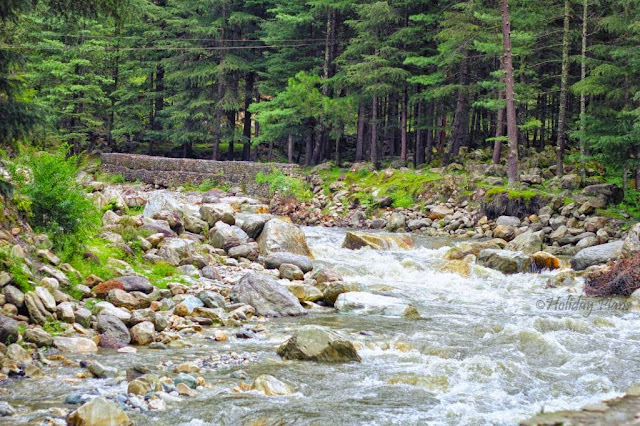 Among places around Kasol, this is a popular attraction in the region and one that first-timers will regret missing. Located approximately 6 km from Kasol, you can either trek to the Gurdwara or hitchhiking a ride. Visiting this place is among the best solo travel tips for Kasol anyone can give you. The top attraction here is the hot spring. Devotees take a dip here believing they will be cleansed of all their ailments. The langar food is absolutely delicious. Do carry a scarf or stole to cover your head when going in. There are pictures of Gods of all religions in the Gurdwara. Among the topmost solo travel tips for Kasol is to shop here. For great stuff, head over to the Kasol flea markets that sell anything and everything at insanely low rates! You will be able to buy woolen garments, semi-precious stones, Bob Marley T-shirts, pendants, and idols of Hindu deities at the lowest possible prices. With prices so low, it will be easy to shop for a lot of things instead of having to limit yourself. This is a good way to collect some fabulous souvenirs as well as gifts for loved ones back home. Keep the above-mentioned awesome solo travel tips for Kasol in mind when planning to travel to this spectacular region. 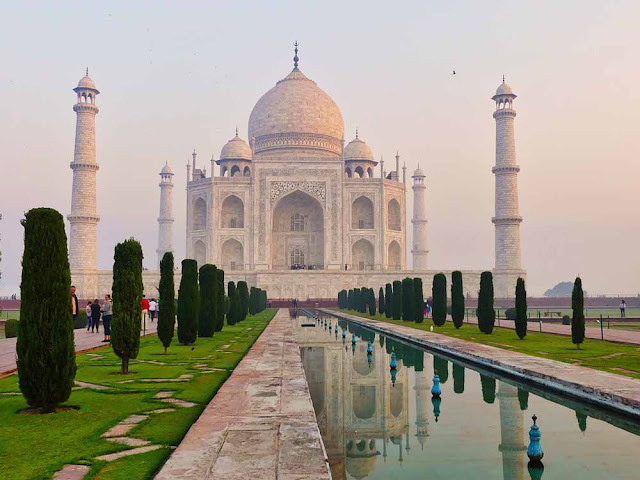 Book a couple of discount flights to India and enjoy exploring this fantastic place. Have the best Kasol trip ever! Are you thinking about moving to an apartment or a house and do you like smart devices? 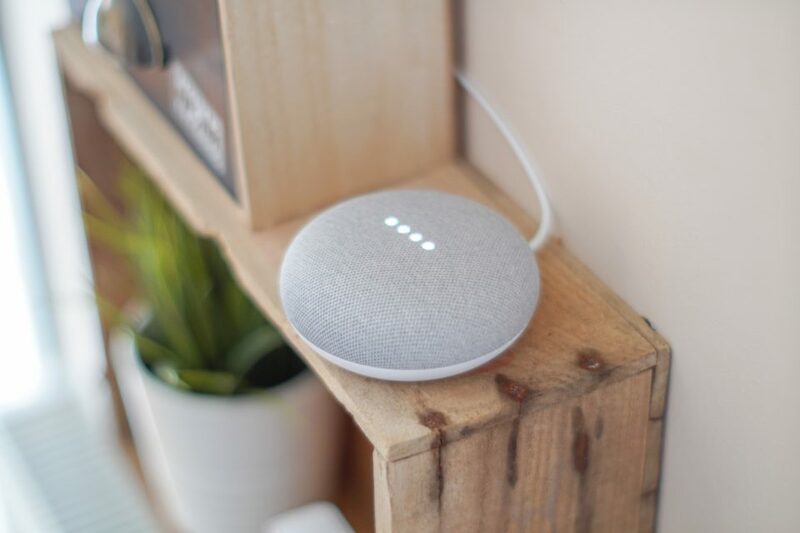 Many people believe that having a smart home is a luxury that only rich owners can afford, but the truth is that today there are hundreds of affordable smart devices that we can install and dismantle when we need or move. What do you think of this? Your alarm sounds. You turn around and press a button. And in the kitchen, the coffee starts simmering. Even your house starts to smell like a cafeteria. With the smart coffee maker, I can experiment with the chemistry of coffee. It may be that it looks like a normal coffee maker, but from inside my home, I can control it with my smartphone, turning it on from a distance or setting the time in advance to prepare the coffee. In addition to allowing me to program specific water temperatures and soaking times for ground coffee, it has automatic preparation functions. With the option to release the aroma, the smell of coffee gets even stronger. Winter never felt this good with the smart clothes. I wear heat jacket and warm my feet using thermal socks, which work with rechargeable batteries. With the buttons on the sleeve I can control the temperature easily. That pine branch that I have it hanging in my room now only serves as a decor item. Instead, now I connect my smart air purifier to the outlet to improve air quality, as it neutralizes smoke, bacteria, noxious gases, dust, pollen and other irritants. The toilet seat, yes, the toilet seat lights the way and also gives me a feeling of warmth. My smart toilet seat has a night light that illuminates the toilet bowl. The seat heater has options for optimum comfort. Wait, what we need are apples and milk? I have long stopped relying on my family's worn lists and messy text messages. My smart refrigerator notifies me on the smart phone which products are running out. It also has a touch screen that displays recipes and videos for cooking, and contains a shared grocery list. Clap to light, clap to turn off - I'm joking. I have installed smart lights that can be operated with the smart phone to turn it on and off, in addition to controlling brightness and even colour. The lights also detect my smart phone when I approach the front door. Ready! The light turns on. My mom's Smart Wearable bracelets have no screens, so they do not clash with fashionable clothes. She can also simply tap it several times to activate a signal. The message and the coordinates of the GPS navigator are sent to the indicated contacts. The bracelet also works as an exercise monitor and measures the daily steps, and also vibrates to notify her that she has received a call, text message or email. My smart thermometer with Bluetooth serves to monitor the cooking of meat. It warns me with an LED light of the condition of the meat as I want it: cooked, juicy or ready. It comes with a smartphone app. My smart camera provides live streaming so I can see what is happening in my home in real time, and also allows me to record videos and take photos directly from my phone. It also has an night vision function and offers intelligent sound recognition that allow me to receive notifications if the camera detects smoke. Are you tired of looking for the keys to the front door of your home? My smart lock does not need a physical key. This smart lock is so wonderful that it unlocks automatically when it detects that I approach the door and it locks up once I enter the home. It is activated to open the door with an application installed on my smart phone. But the interesting thing is that I can authorize other people and set the authorization through a sound and share it with family and friends. This authorization lasts whatever duration I want. Also through the application, I can get a detailed record of the people who have had access to the house and when. Sometimes all I want is to press a button to solve a problem. This is increasingly possible with the #SmartHomeRevolution. Technology companies are leaving behind the creation of smart and cutting edge products and focusing on what matters most so that they are useful and you can #GetFitWithFlipkart. My passion for travel photography began a long time ago while traveling with my parents and my father took his camera everywhere. His hobby became contagious, and although I started knowing nothing about exposure, ISO or composition, photography has become a real passion. My beginnings in photography were driven by the fact that I had a job that required me to be constantly traveling to several cities within the country. It is then that there was a day when I realized that I had an extensive gallery of photos of people, places, objects and landscapes, but, all in my cell phone. I started to organize my gallery in a very basic and personal way. I did not have any editing program, not even some basic one. Even so, I started to find love in these photos because they brought back vivid memories of people and places that I had seen in my walk and it was then that I finally decided to buy my first SLR. My first big trip in which I chose to use this equipment was one that I made to Chile. I remember that just before leaving I bought an angular lens because according to all the reviews I found on the internet it was the ideal one to undertake my first photographic mission where my goal was landscaping. I left for Puerto Natales, where I arrived in the middle of the afternoon. On the way, I stopped for a drink at a roadside restaurant in Villa Tehuelches, which I thought was the typical sea. The owner ended up taking me to the kitchen, which she told me was typical Patagonian cuisine, which reminded me of my grandparents' coal kitchen. Being able to document those special moments for myself, and doing it in the best possible way is very important not only for myself but also to be able to share it with my friends and family upon return. Our experiences are shaped by the places we go, the people we know and everything that happens along the way. Travel photography is for me the set of all of them converted into one. The fact of documenting my trips gives me a feeling of happiness, as well as creating many good memories with which to look back. Moving on the best thing about Villa Tehuelches was the modern telephone booth that the people felt so proud of. Puerto Natales is a smaller city than Punta Arenas, on the banks of Última Esperanza Sound, with incredibly blue waters and full of black-necked swans. Puerto Natales, unlike Punta Arenas, has a special seal. I see picturesque houses, streets full of light and people, many restaurants, and even a cafe where I have a drink in the middle of the afternoon. I stayed in a cabin on the outskirts of the city. That day I had my first barbecue of varied meats, with the usual Chimichurri. I had hired navigation through Última Esperanza Sound to see the Balmaceda and Serrano glaciers. I arrived at 8 in the morning to the port, with a gray, sad day, freezing wind and drizzle, and sailed about 3 hours until we reached Balmaceda. The boat trip is frankly beautiful, and I imagine that with the sun it will be even more. I see multiple waterfalls and different birds and marine species. I saw a colony of cormorants, all together on a rock, and a couple of sea lions crouched among the rocks. When the glacier appeared, I was impressed. As you can tell, I was a newbie in the glaciers! Now that I have seen more, I must admit that it was a glacial mess. Almost all the glaciers of the Southern Ice Field are in retreat and are leaving exposed rock walls eroded by the ice. In the Balmaceda, this backward movement was visible. Then the boat headed towards the other glacier. We disembark in a lenga forest, a typical tree of the area, and walk around Serrano through a path full of vegetation and plants unknown to us. This glacier was something else, although nothing is comparable to Perito Moreno. I returned to Puerto Natales after stopping at a ranch to eat a magnificent Patagonian lamb! When I returned home just as digital nomads of this world, I arrived to see that I have lost all the travel photos because my camera got overheated. Losing photos is extremely disturbing because these moments will never come back in the same manner for me to capture again. A specific moment which I had captured is lost forever. Fortunately, I managed to get some of it back, so I thought I'd share some tips with you. As you can see by searching Google, there are hundreds of options to recover files, whether they are from a memory card, a hard drive or any data storage unit. Stellar Data Recovery has excellent software for data recovery. It has helped me several times in recovering data from discs or SD cards for other people. Following the installation of the software in a different location than the origin of data loss, select the data loss drive and start to scan. Depending on the size of your card, it will take more or less time. It is very simple since the DIY software has a visual interface that guides throughout the process. Normally, the first thing is the selection of the logical unit that I want to analyze, then the choice of a recovery method, the type of data I want to restore and location where to save it. At the end of the scan, the recoverable files appear in a list. All you have to do is mark the ones that interest you and validate. Stellar can recover data even if an SD card is formatted. The SD card, in this case, contained many photos, which is why the process took time. The information about remaining time for the completion of the process was reliable. At the end of this time, I was able to recover almost all the photos. To put it briefly, the data recovery software by Stellar has a lot of features making it one of the best data recovery programs out there. If you are unable to recover data from SD card via the data recovery software, then use their data recovery services. A professional data recovery provider such as Stellar will help you retrieve photos safely and securely in their Class 100 Clean room facility which is the only one of its kind in India. It is often said that prevention is better than cure. It is a principle that must be applied even more regarding backup in photography. There are solutions to catch a crash on an SD card or a hard drive, but there are also some good practices to adapt to avoid the worst or to limit the case. Here are some tips for making peace with this unfortunate event and, as a bonus, how to make sure it does not happen. No matter what type of photo storage you use, be sure to clean it before you go and have enough space for your travel photos to sync. Also, do not forget to make Wi-Fi stops every few days or so for synchronization to happen! If you need a backup solution one step above, I recommend the use of a wifi hard drive. This type of hard drive has its battery, with an average of ten hours of battery life. It is even possible to watch movies streaming from the disc. There are now many ways to send travel photos to those who have stayed both feet on the ground, be it via email, Facebook Messenger, iMessage or others. Sharing photos with your loved ones assures you that there is at least someone else who has a copy of some landmark photos. Personally, I use shared photo albums from my iPhone. My relatives, who also have Apple devices, can follow me. It's a lot more private than Facebook and it's directly in my phone's photo app. It limits any risk of theft, loss, forgetfulness or falling. Keeping the device in the palm is tiring. Go for the Asian method with your device hanging on your neck! There is no point in buying a device that can take 15000 burst pics in 0.5 seconds, or videos in 28K resolution if your SD card does not keep pace and has trouble recording and read the data quickly. It causes a bottleneck that can be a source of crashes and data loss. When you sort your photos, do not delete them one by one from your device. Copy them to your computer and then format the card with the camera, not the computer. In this way, you are sure that the card is configured in the best possible way for the camera. Commercial SD cards are getting cheaper while offering more and more storage space. So we tend to buy cards with high capacity, even more, when shooting in RAW format (an image format that contains all the sensor data from your camera, and allows for better photo processing). RAW format files contain more data and therefore take up more space on an SD card. Each of the photos I take with my DSLR occupies 30 MB on my card! The solution is merely to have several SD cards of average capacities that you will use along the trip. If you lose one of the cards, you will not have lost everything, AND you will be able to continue taking pictures with one of the replacement cards. All of these precautions do not protect against accidental erasure of photos or momentary crashing. Here are the good behaviors to adopt and some tools to try to get out of trouble. When you notice a problem on your USB card, USB stick, hard drive, and you can not read your photos anymore, do not use the card anymore, do not save any more photos on it, put it in quarantine so as not to aggravate the situation while waiting to try to recover the data and we will have a good chance of recovering it. Of course, it should be done as soon as possible. How? Well with a software specialized in data recovery.